Step 0:Read and familiarise yourself with the eligibility criteria, number of seats, test centres, reservation policy and other relevant information related to admissions to the B.Des., GDPD and M.Des programmes. In B.Des/GDPD the Design Aptitude Tests – DAT Prelims and DAT Mains are common to applicants to all three institutes, NID Ahmedabad, NID Vijayawada and NID Kurukshetra. 2. Please provide a valid email address and an active mobile number while registering, since these contacts will be used for all future communication with the applicant. Ensure that this email id & mobile number is active till 31 August 2018. 3. After registration, login credentials will be sent via an email to the registered email address (do remember to check your spam or junk folders in case you do not find the email in your inbox). In case of wrong email address and/or mobile number has been provided during sign up, you are required to register afresh with the correct details. 4. Do not delete the email sent to you, as this will be useful for future reference. 5. Log in to your account using login and password to proceed further. Step 2: Fill the Online Application Form1. Log in and proceed to Step 2–Application Form. 2. Fill in all the required details. - In B.Des/GDPD allotment of seat/campus will be purely on merit in respective category. Supernumerary seats under Overseas category are available ONLY at NID Ahmedabad and NOT available at NID Kurukshetra and NID Vijayawada. - In M.Des candidates are allowed to apply for maximum of two disciplines. 3. Click ‘Save & Exit’ to complete the form at a later time or date. 4. After filling all details, click ‘Save & Proceed’ to go to the next section to ‘Upload Document’. Step 3:Uploading your Documents & signature1. Upload a scanned recent passport photograph as per the instructions. All photographs must be in JPG/JPEG format and not exceeding 100 KB in size. It must be a coloured photograph taken at a professional studio. Photographs taken via mobile phone and other kinds of self-composed portraits will not be accepted. 2. Upload your scanned signature as per the instructions. All signature files must be in JPG/JPEG format and not exceeding 100 KB in size. You should have your signature digitally photographed or scanned and cropped to the required size. 3. Candidates applying under the OBC-NCL, SC and ST categories are required to upload their valid Caste Certificate issued by a competent authority. The certificate must be in JPG/JPEG format and not exceeding 150 KB in size. 4. Candidates applying under the Persons with Disability (PwD) category are required to upload their valid Disability Certificate issued by a competent medical authority as per the guidelines of the Government of India. The certificate must be in JPG/JPEG format and not exceeding 150 KB in size. 5. Candidates applying under the Overseas category are required to upload the first and last page of their valid passport, clearly showing all of their personal information. The document must be in JPG/JPEG format and not exceeding 150 KB in size. 7. All of these scanned documents must be in JPG/JPEG format. 8. Once you are done with uploading all the necessary documents, click ‘Save and Exit’ to complete the form at a later time or date. 9. Click ‘Save & Proceed’ to go to the next section to pay Application Fees. Your Application Form will be accepted only after successful payment of the application fees. For applications received after 1400 hrs on Tuesday, 31 October 2017, the application fees (including late fees) applicable will be double the amount indicated above. 2. The above fees are applicable to applicants of B.Des/GDPD and M.Des, belonging to either of the three genders. NOTE: As per latest order of Supreme Court of India, third gender includes only transgenders, eunuchs and hijras. Lesbians, gays and bisexuals need to select either Male or Female option as appropriate. 3. Application fee is NEITHER refundable NOR transferable. 4. The Application fees paid online (by debit/credit card) DOES NOT INCLUDE any bank/ transaction charges, and the same, as applicable, will be borne by the applicant. 5. You will be asked to verify your details, after which you can proceed to make the payment. 6. Select method of payment— (a) ONLINE (via credit/debit card) or (b) OFFLINE only by Demand Draft. Enter the required details as specified. 7. For Candidates paying ONLINE: You will be directed to the payment gateway. After completing the payment process, you will be redirected to the ‘Print’ section where you can save your form as a PDF file and print it. You are NOT required to send the print-out of your application form if you are paying online via debit/credit card. 8. For Candidates paying OFFLINE: Prepare a Demand draft of the amount in favour of ‘All India Management Association’ payable at New Delhi. Fill in the details of the Demand Draft online to complete the submission process. Save the Application Form as a PDF File and print it. This should be done before 1400 hrs. on Tuesday, 31 October 2017. The National Institute of Design has authorised the All India Management Association, New Delhi, to process all its applications for the M.Des., B.Des. and GDPD programmes.10. Window to edit Application Form (14th to 16 November 2017)- Applicants will be given an opportunity to review and correct their information in the application form starting from 1200 hrs on 14 November 2017 until 1200 hrs on 16 November 2017. - The information related to eligibility criteria, date of birth, category, email id, citizenship and the discipline applied for CANNOT be modified at this stage. - Application fees already paid will not be refunded in case the application is found not eligible for admissions to NID after modifying the information in the application form. - Applicants are fully and solely responsible to provide correct information during the application process. At any stage if it is found that the information provided by the candidate is not true, NID has the right to cancel his/her candidature. Any direct or indirect attempt to influence the management and employees of the institute will lead to automatic disqualification of the candidate. The National Institute of Design has authorised the All India Management Association, New Delhi, to process all its applications for the B.Des./GDPD and M.Des programme. For Indian Nationals in General Category: Upper age limit for candidates is 20 years as on 30 June 2018. Only those candidates born on or after 1 July 1998 are eligible to apply for admission. For Indian Nationals in Reserved Category (OBC-NCL, SC, ST): Upper age limit for candidates is 23 years as on 30 June 2018. Only those candidates born on or after 1 July 1995 are eligible to apply for admission. For Indian Nationals in PwD Reserved Category: Upper age limit for candidates is 25 years as on 30 June 2018. Only those candidates born on or after 1 July 1993 are eligible to apply for admission. For Foreign Nationals in Overseas (Supernumerary) Category: Upper age limit for candidates is 20 years as on 30 June 2018. Only those candidates born on or after 1 July 1998 are eligible to apply for admission. Final examination of the 10+2 system under a central or state board recognised by the Association of Indian Universities (AIU, Referwww.aiuweb.org). Intermediate or two-year pre-university examination under a board or university recognised by the Association of Indian Universities (AIU, Referwww.aiuweb.org). Senior secondary school examination under the National Institute of Open Schooling, with a minimum of five subjects. Any public school, board or university examination completed in India or in any foreign country recognised as equivalent to the 10+2 system by the Association of Indian Universities (AIU, Referwww.aiuweb.org). General Certificate Education (GCE) examination at the Advanced (A) level taken in London, Cambridge or Sri Lanka. High School Certificate Examination from Cambridge University or an International Baccalaureate diploma from the International Baccalaureate Office, Geneva. AICTE approved three-year Full time Diploma after Class X offered by Board of Technical Education of any state in India or Union Territories as mentioned on http://www.aicte-india.org/statisticbote.php. Candidates who have completed final examinations for class XII (or equivalent) outside India or from a board not specified above should produce a certificate from the Association of Indian Universities (AIU) confirming that the examination they have passed is equivalent to the Class XII examination conducted in India. Foreign citizens—applicants holding citizenship of a country other than the Republic of India—are eligible to apply only under the overseas (supernumerary) category, provided they fulfill all the eligibility criteria. Supernumerary seats under Overseas category are not available for GDPD programme at NID Kurukshetra and NID Vijayawada. Applicants under overseas (supernumerary) category fall outside the ambit of seats reserved for the OBC-NCL, SC, ST and PwD categories. Applicants holding OCI and PIO card will have to apply only under the Overseas (supernumerary) category. Non-Resident Indians (NRIs) holding an Indian passport are not eligible to apply under the Overseas (supernumerary) category and will have to apply as Indian nationals. Candidates will be offered admission to NID based on the final merit list of the Overseas (supernumerary) category, which will be prepared after all the stages of the admission process have been completed. 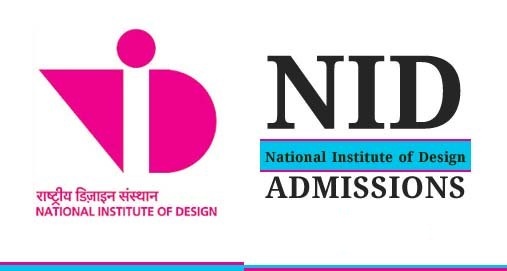 Only those candidates with the score of 40% and above will be eligible for the admission to NID. Self-attested copy of the relevant pages of their valid passport. For B.Des. candidates: Self attested copies of their grade sheets/mark sheets of SSC (Grade X) and HSC (Grade XII). Applicants in the process of completing their Grade XII must submit a bonafide certificate from their school or college. An equivalence certificate from the Association of Indian Universities (AIU), New Delhi, which will need to be obtained at the time of document verification. The applicant will be responsible for obtaining a student visa for the entire duration of the programme at NID, before the commencement of the programme. If selected candidates do not pay their programme fees or fail to produce all of the required documents, or if they decline the offer of admission, their candidature will stand cancelled. Seats remaining vacant in the overseas (supernumerary) category will lapse and will not be transferred to candidates from any other category. Overseas applicants will have to appear for DAT Prelims and DAT Mains as per the schedule mentioned in Section 2 of the B.Des./GDPD Admissions Handbook 2018-19. Overseas applicants may choose their exam center for DAT Prelims from any exam center mentioned in Section 7.3 of the B.Des./GDPD Admissions Handbook 2018-19. The language of instruction at NID is English. (i) The candidate must provide by that date (of declaration of admission results by NID) the qualifying exam’s date sheet/admit card/Principal’s certificate as proof of having appeared for their final qualifying exam. (ii) The candidate must be able to submit the final result of their board exams (including compartment or supplementary examinations) or a certificate proving their eligibility, to the Activity Chairperson, Professional Education Programme, before 31 August 2018. © 2018-2019 Lecture Notes, LLC. All Rights Reserved.